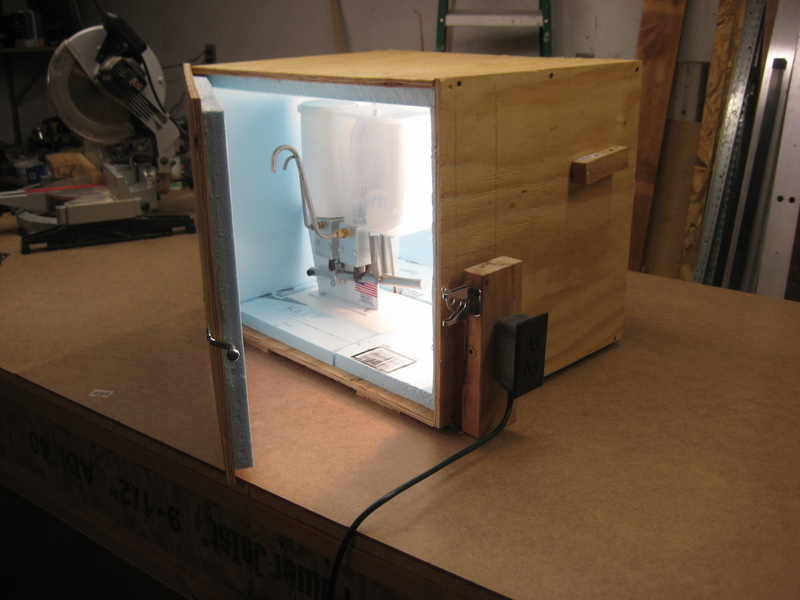 Now to building the epoxy hot box. 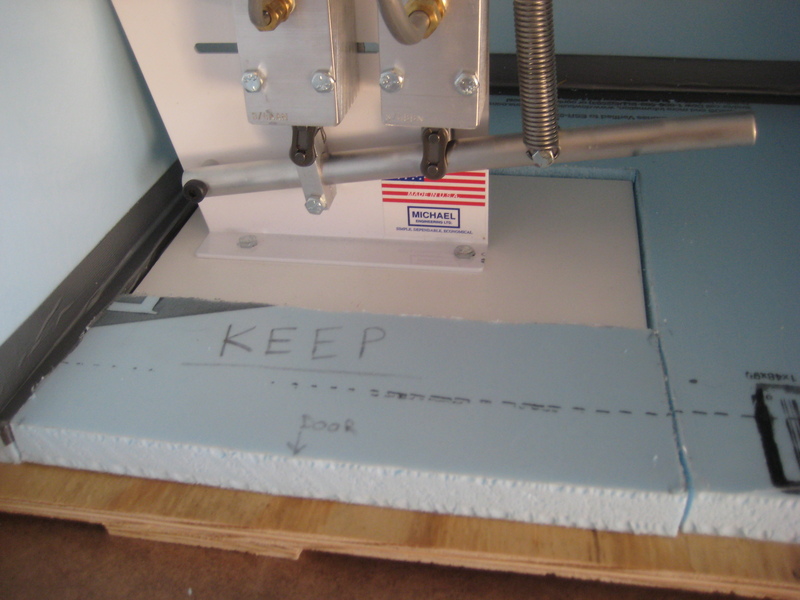 I started by completing the basic shell out of 1/4″ plywood, and then started filling with 1″ thick Styrofoam. I apparently didn’t account enough for the thickness of the foam, as there wasn’t enough room for the carrying handle to fit. I solved this by cutting the foam out of the bottom, so the pump actually sits on the bare plywood, and the base is surrounded by foam. I just have to remove a piece of foam in the front of the pump, and then it can slide in and out. I also made it extra wide, and positioned it toward the left so I can add an extension to the handle for easier pumping. 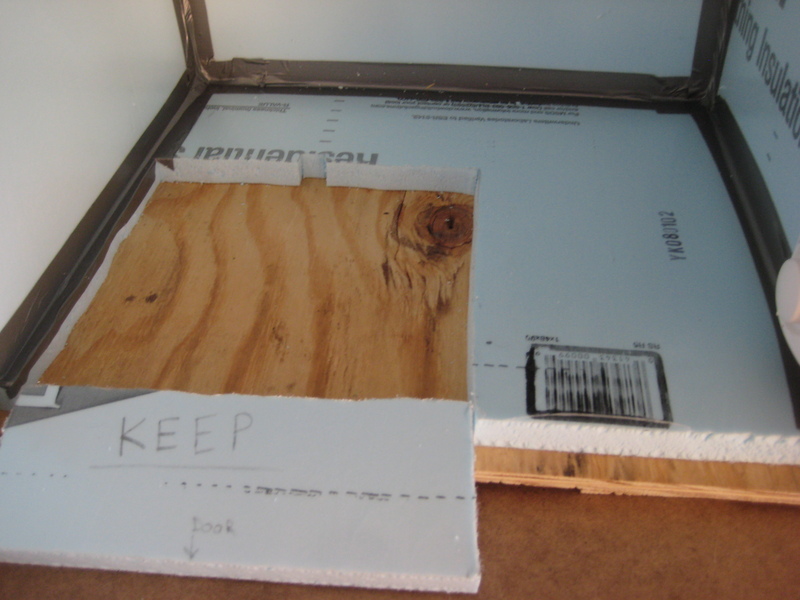 After adding insulation to the inside of the box portion, I added some to the inside of the door, by gluing with wood glue, and adding some screws from the front to aid in clamping. I also added a ratchet strap around the box to clamp. Next, I added wiring. 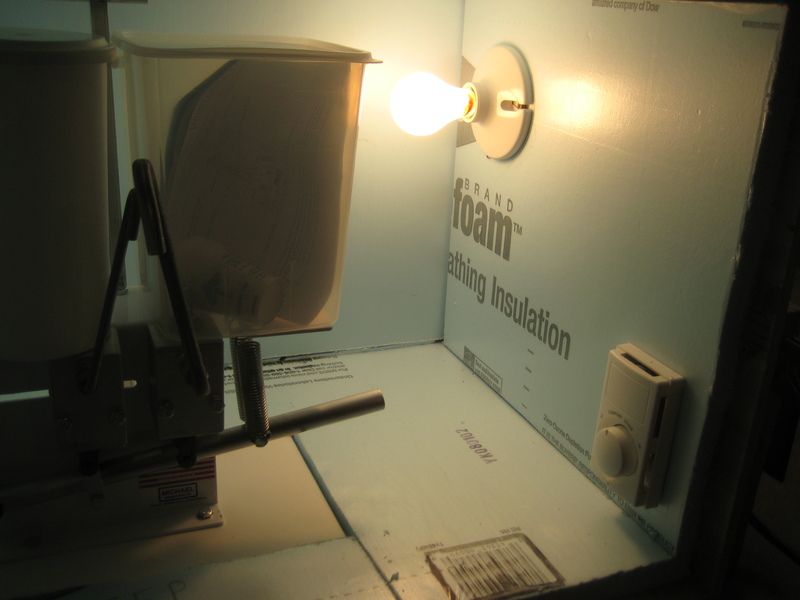 I cut a channel on the back side of the foam between the light fixture and the thermostat. I added my wire into the channel, and covered with duct tape so id didn’t come loose while trying to position the foam back into place. Directly behind the thermostat is where I put an outlet, which also acts as a junction box. I incorporated this with a board, which I needed to attach for the latch hardware. 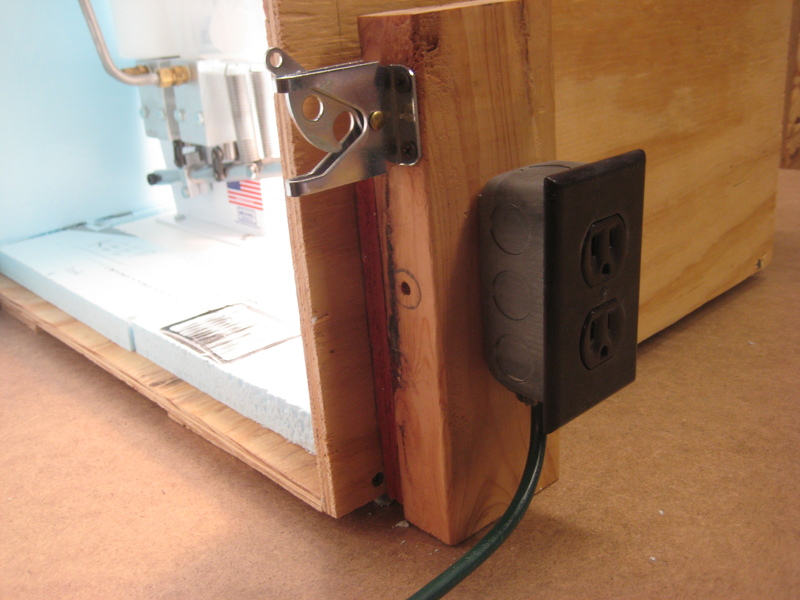 I drilled holes through the 2×4 to get all the cabling run to the outlet box, and connect. After making all my connections, and verifying that the thermostat is working properly, I sealed the inside up by adding duct tape in all the inside corners. I also added some duct tape on the foam by the light bulb to help protect it.